Stratospheric real estate prices are nothing new in Hong Kong, the world's priciest housing market. Home prices have soared by around 170 percent since 2009. HONG KONG (CNNMoney) - At one Hong Kong apartment complex, it will cost you close to $1 million to just get your foot in the door. Real estate agents in the city are asking potential buyers to stump up 7 million Hong Kong dollars ($900,000) to view a new batch of luxury condos, the latest example of the dizzying rise in prices in the world's most expensive property market. The new complex offers sweeping views of Hong Kong's Victoria Harbor and is located near the city's central business district. 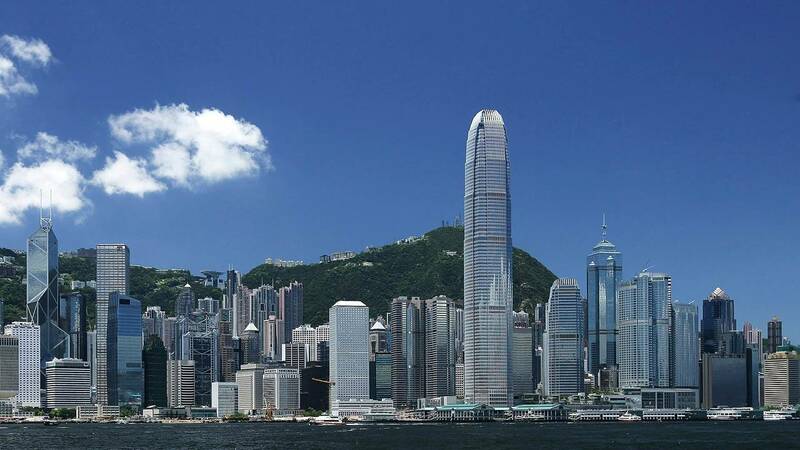 It was built by Sun Hung Kai Properties, Hong Kong's biggest property developer. Real estate brokers told CNNMoney that the huge deposit (which is refundable) applies to 10 luxury apartments in the complex that are set to go under the hammer. "This is an indication of how hot the market is here in Hong Kong," said Paul Zimmerman, director of think thank Civic Exchange and a district council member in the city. Prices have been fueled by years of low interest rates and money flowing in from mainland China, he said. Prospective buyers for the luxury condos at the new complex, which is named Victoria Harbor, are expected to have deep pockets. They have to be willing to buy at least two units and cough up the eye-watering deposit just for a 90-minute viewing session. Even then, they don't get to set foot in the actual apartments but have to make do with a mockup in a different part of the city. What's more, paying the deposit doesn't guarantee they will actually get the apartments, as they then have to bid against other potential buyers. The brokers declined to give estimates for how much the condos, which range from 1,200 to 1,600 square feet, are likely to sell for. But similar sized units in the same neighborhood sold this month for as much as 66 million Hong Kong dollars ($8.5 million), according to data from real estate agent Centaline. A spokesperson for Sun Hung Kai said the viewing arrangement was "not uncommon" for high-end properties in the city, calling the apartments "rare and of high quality." Stratospheric real estate prices are nothing new in Hong Kong. The city's housing was named the world's priciest housing market for the seventh year running in the latest annual study by public policy firm Demographia. Home prices have soared by around 170% since the dark days of the global financial crisis in 2009, according to Centaline data. But many inhabitants have been left out of the property boom in Hong Kong, which is known for its high levels of inequality. About 20% of Hong Kongers live in poverty, according to official statistics.